Wouldn’t it be cool to enjoy events with your friends, meet new people and make some money? Do you agree? Yes, me too! 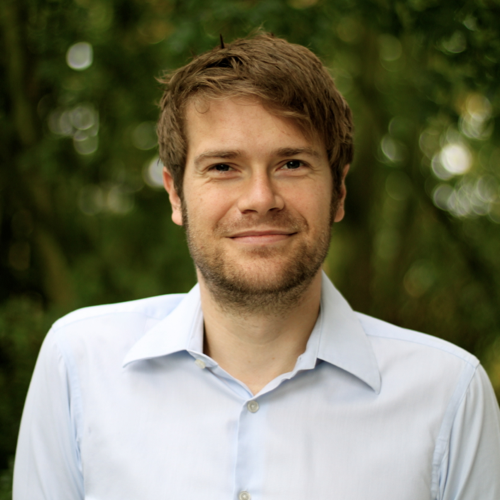 Therefore I launched: Sharevent, my first startup for this blog. My week at a glance: Within 5 days I sold 22 tickets for a wine-tasting event and made $ 745,- in revenue. I built the Sharevent website and talked to 12 shop-owners, whose event I wanted to promote on our new website. 6 of them were interested, but just three took our offer. At day 4 I presented Sharevent to the world - but did it work? But let’s get through the details, step by step. If you want to read the summary first, here you go. Startup#1: What’s the idea of Sharevent? Hooray: The idea of Sharevent was born! 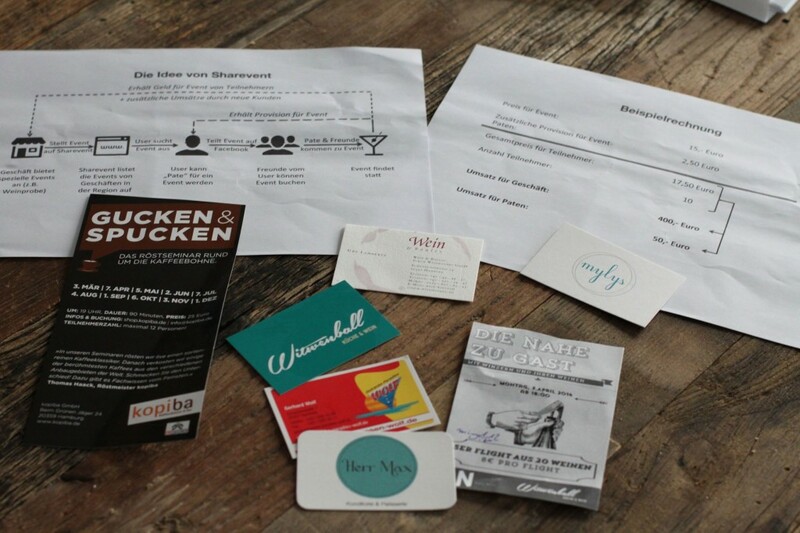 Sharevent works like this: Local shops are happy, when they get new customers to their store. That’s the reason why Groupon is/ was working. Some of these shops offer events to attract more customers, like wine tasting or special diners. But these shops got one problem: How can they inform people who are not their customer yet, about their events? This is where Sharevent kicks in. 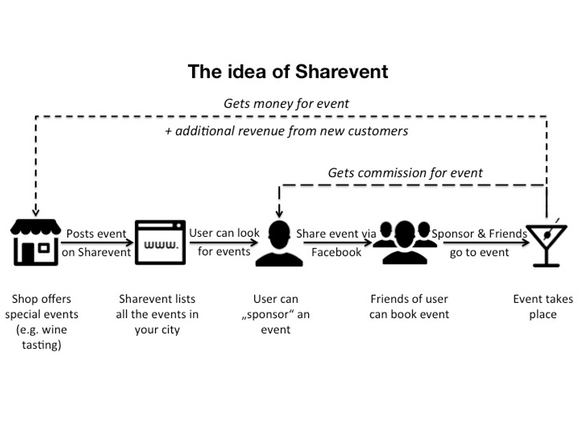 Sharevent will be a website, where all the shops in a city could post their events. All these events are accessible to every user (like me an you), who are registered for this site. Users can pick an event they like and become the sponsor of the event. When they are the sponsor of the event, they have the possibility to share this event with their friends, who can share it with their friends again. For each person who is coming to this event, the sponsor gets a commission from the shop. It’s like Groupon but with a real social touch. Well, the idea sounds nice – but does it really work? Time for validation! Okay, 5 days to test and roll out the business…there won’t be enough time for any fancy website design or heavy coding. I need to find other ways to validate the business idea. I started by dividing Sharevent into its components, which I wanted to test separately: Sharevent is a marketplace and consists of the people who buy the „shop-events“ and the shops, which offer these events. Are there people out there, who are buying these kind of “shop-events“? Are there shops out there which want to offer their events on the internet? And would they pay for it? 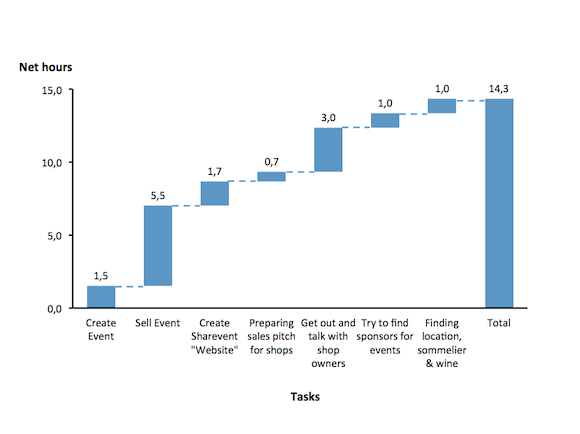 On Day 1 I focused on finding people who are willing to buy “shop-events“. Let’s go! Create a website? No! Highjack evenbrite? Yeah! To find out if people are interested in “shop-events”, I wanted to create one on my own (it was more fun). First of all I brainstormed some events, which could be fun and interesting. I finally decided to go for a wine tasting event, because I want to learn more about wine – and I know a lot of my friends want to learn more about wine, too. 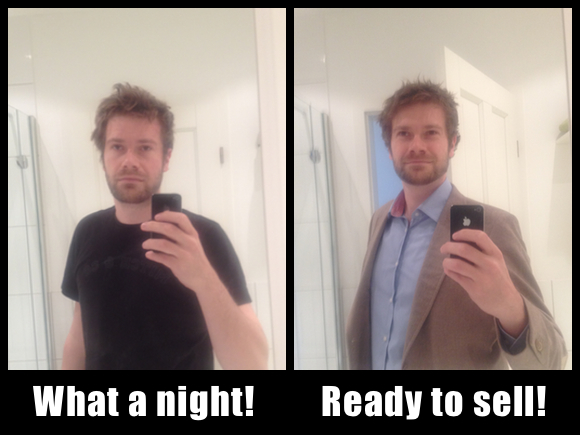 I decided to sell the event for € 25,- (except two „early-bird“ tickets for € 20,- each, to get a momentum). Instead of building a fancy website for a wine tasting event, I checked the internet for solutions, which already exist and which I could use instead. I came across eventbrite. It has everything I needed to create a „shop-event“. It just took me 90 minutes to create this wine tasting event – and I was ready to start. You want to know the most important number one rule for startups? Here it is: Sell first! Instead of organizing an event and sell it afterwards, do it the other way around: Sell the event first and organize it afterwards. By doing it in this order, you will save a lot of time: When nobody wants to buy your stuff, you can save the time producing it. Following this rule I started to sell my tickets for the wine tasting event without having any location, wine or people who could host this wine tasting. My goal was to sell at least 10 tickets within the next 2 hours…this was a little bit too optimistic. 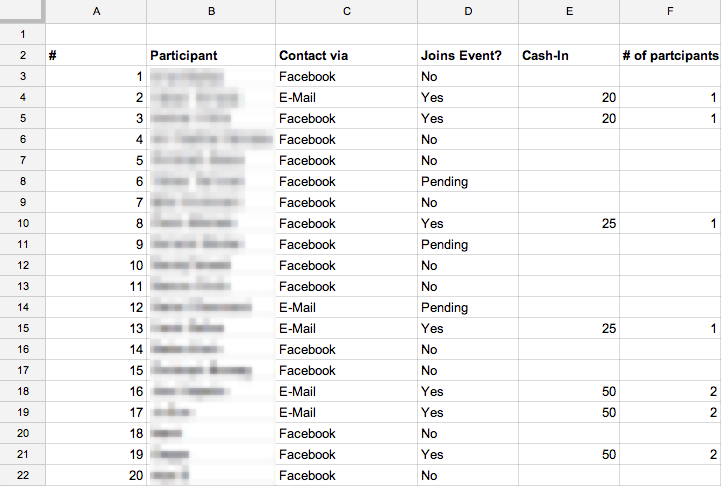 I wrote down a list of 20 friends in Google Drive, who live nearby and could be interested in such an event and got in touch with ALL of them via Facebook or email (interesting fact: email worked better for me – didn’t expect that). I think this way is one of the most efficient one you could use: Write down a list of customers you want to get and contact them directly! Don’t stop until you get at least one of these customers. The first replies I got were something like this: „Sounds nice – on what date?“. BOOM – this was my first mistake: I didn’t gave my friends all the information they need fast and easy. I thought, that all my friends would follow the link to check out the date on eventbrite, but they didn’t. It was too inconvenient for them. 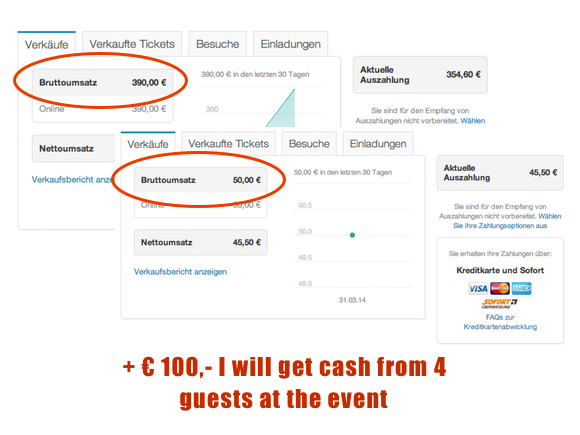 Then I wait for 2 hours, looking at my eventbrite-account, expecting some serious money coming in…I sold 3 tickets. This was my next mistake: Hoping that everything will work according to my plan. Guess what: Reality doesn’t care about your plan. Within the next 2.5 hours I sold another 6 tickets. In total I made € 215,-. All right, I think I got the answer for the question “Are there people out there, who are buying these kind of „shop-events“?” – yes, there are! Sell first: Find people who want to buy your product first. When you found them, start producing the product. Not before! Don’t build a website, when you don’t need to: Find existing solutions and highjack them, like I did it with eventbrite.com. Give all the information your customers need fast and easy to them: To find out what information they need, ask yourself the question: „What does my customer needs to know to say ‚Wooh, that’s great! I am in! Where can I buy it and what do I have to pay for it?‘“. Price is not an information your customer need to know in the first step. Don’t stop & hope! Instead: Sell, Sell, Sell! Plans are great, but normally they don’t work like they should, Therefore forget your plan and try to sell as much as possible. I wasn’t very happy with my 6 sales, therefore I wanted to use this day to make some more sales. Additionally I wanted to prepare tomorrow, where I planned to get out and find shops who want to offer their events at Sharevent: I needed a Dummy-Website for my sales-pitch. I started the day by sending all my friends, who haven’t answered yet, a reminder. I asked them something like this: „Hey, how’s going today? Do you already know if you want to come to the wine tasting event? Please give me a short „yes“ or „no“ – this makes it easier for me to plan this event. Cheers!“. It took me 40 minutes to contact all my friends and guess what: I sold another 9 tickets! In total I made € 390,- by selling 15 tickets in two days – and there are still some friends on the list, who said they wanna buy a ticket. It starts to make fun! Tomorrow I want to get out to find shops who want to offer their events at Sharevent. I decided to build a quick & dirty website, so I can show the shop-owner at least something. It took me 1.5 hours and that’s exactly what it looks like: Please, check out the official Sharevent website. Probably you will notice, that I made everything as simple as possible. No fancy buttons, no database – just an old-school html-table. And I didn’t buy a domain, I just put the website on my The Weekly Startup blog. Bring pressure to your pipeline: “Get on the nerves” of the people who haven’t bought yet (= your „pipeline“). At least remind them once. Ask for decisions: Ask potential customers in your pipeline if they want to buy or not. It’s great to make a deal, but it is also good to know where you won’t make one. This saves a lot of time and energy. Done is better than perfect: Don’t be a perfectionist. Build the stuff you need quick and dirty. Just create the basic functionality. Today’s goal: Find shops out there which want to offer their events on the internet and would pay for it AND sell more tickets! Good news: I found some shops, who want to use Sharevent! Bad news: They are not willing to pay for it, yet. But first things first! After a horrible night (seems like my newborn got its own agenda for The Weekly Startup) I got dressed for sale, packed my iPad mini, my sales pitch presentation and went out to the street to visit some local businesses. It took me 3 hours to visit 12 shops. 7 shops of them were offering events and 6 of them were interested in Sharevent, but just 1 took my offer to promote his event immediately. The other 5 shops asked for some additional information via email (I sent it to them, which took me another 1.5 hours). That’s actually quite good! Here you can see the results of my tour. What worked well during my sales? I made the story local: I told the shop owners I am doing Sharevent just for the area where I live in. This makes it easier for them to understand. What didn’t work during my sales? None of the shops wanted to pay anything, but all said, they would be willing to pay a small amount of money, when the idea works. That’s bad news. On the „other side of the business“ I sold another ticket. In total I sold 16 tickets and made € 415,-. Interesting learning from the sales: Just trust the money on your bank account. This means: There are many people out there, who say they wanna buy, but actually don’t do it. Make your business story local: People understand a business idea better, when it fits into their context. Making your business story local („I want to help shops in my area!“) is a great way. Make your story easy and use relevant examples: Use the few minutes you have during your sales pitch to tell your story right. Make it easy and use examples, which are relevant to your potential customer. Use peer pressure: Shop-owners/ companies are always afraid to loose market shares to their competitor. Therefore they are very often willing to do the same stuff, their competitors are doing. By saying „The shop next door signed up, too!“ you create a lot of peer pressure. Just trust the money on your bank account: People who say they wanna buy, don’t buy for sure. Be aware of this and don’t actually plan with money you don’t have. These were the jobs for day 4: Find people who want to become sponsors for the events and start to organize the wine tasting – puuuh, sounds like some work to do. Out of the 5 shops, which asked for some additional information 3 answered today. 2 gave me the permission to post the event, 1 denied it. For the 2 other shops, which didn’t answer, I published their event on my website anyhow. Probably they won’t be to angry, when I would bring them some new customers. I posted Sharevent on Facebook and sent it directly to 27 friends, who live in Hamburg. I asked to sponsor an event or at least give me some feedback. Additionally I sent out some tweets to multipliers in Hamburg. Everything cost me 1 hour. I will wait for tomorrow to get their feedback and decide how to proceed with Sharevent. Okay, there was still the wine tasting, which I had to organize. I started to sell the event without having a location, a sommelier or any wine. But guess what: As soon as I published my idea of organizing a wine event, some magic happen: People approached me and ask me, if they could help me with this event. Within 2 days I got a location (probably the wonderful MakerHub in Hamburg) and three people who would like to run the wine tasting. Solve problems, when they arise – not before: I didn’t worry about organizing the wine-tasting, before I sold enough tickets. Just start thinking about your problems, when you have to – not in advance. Day 5: Does it work? Okay, last day. It’s time to finalize the wine tasting event and to check the feedbacks for Sharevent. After all costs I made a profit of € 250,-. I decided to invest the money into food and some great bottles of wine for my guests. First, let’s focus on the numbers: 76 people visited the Sharevent-Website and no one ask to get the sponsor of an event. In a word: Failed! 6 of them actually like the idea – good! It seems, that the basic idea of Sharevent does not work. No one asked to sponsor an event. The reason could be, that they don’t want to take money from their friends or that the events weren’t very interesting. Lesson learned! Conclusion for Sharevent – Grow or go? Build a website where shops promote their events. Get money from advertising on the website. Summary: Here’s what I’ve learned! Woooh, this was really a tough but AMAZING week. In total I sold 22 tickets for the wine-tasting event, made € 540,- in revenue, built the Sharevent website, talked to 12 shop-owners, promoted 5 of them on my Sharevent website, brought 76 people to the Sharevent website but 0 of them applied for a event-sponsorship. I tried to summarize the most important facts about Sharevent in the table below. It was quite hard to find the “main” learnings, because there were so many learnings in this week. Please consider reading the learnings on each day again. Elevator pitch: The startup idea in one sentence Sharevent: Enjoy events with your friends, meet new people and make some money. How did I get the idea for the startup? To solve my own problem: Have more fun at the weekends and meet new people. How did I try to make money with the startup? How much money did I make and where did it come from? Solve real problems: I made a big mistake while testing Sharevent: I invented my own event – the wine tasting. It would have been much smarter to go to the shops first, check out their events and promote one of their events. By doing this I would have solved a real problem and I could tell a real success-story to all the other shop owners. In my next startup I will focus on solving real problems – not inventing some. What really amazed me is, how little time it took to build everything. When I am looking at the net time I invested it took me only 14.3 hours! Most of the time I spent on writing the blog or waiting for answers from other people. Well, that’s it! I hope you enjoyed the story of Sharevent. Please feel free to comment on our first startup. I am really curious about your feedback! What a week indeed. Whilst I agree in part with your recommendation of getting the customers prior to planning the details of your event, I think in some cases this would not work. Time, date, location all form part of peoples decision-making process and would be a major factor in determining the success of the venture/event. I look forward to your next startup! yeah, you are right: There is probably no “one-solution-fits-all”. But I think you can use this kind of “sell-first mindset”, at many startups. Even for startups where are other factors are more important, it is always a good idea to get out and talk to your potential customers. You will learn so much, even just by interviewing them. I really liked your article, it is very inspiring. How did you manage to speak to the right person in the shops? Did you ask for the owner or did you spoke which each employee? Did you came back another time, when the owner wasn’t there? To answer your question: I just got into the shop and talk to the first person I saw. They usually referred me to the shop owner. Perhaps I was just lucky. Wow what an intense startup on the first week! Some very nice learnings for startups in general. Good luck with upcoming startup. If you need some help from a Dutchie, just let me know! Btw the verification to subscribe to the comments (through wordpress.com) is still in German. Concerning the language problem: Unfortunately I have no idea how to change this…anyone? I already tried that, but it didn’t work…I will try to fix it within the next days. I am still experimenting with the video – perhaps next time I will use it just for an introduction. We will see. I wanted to use the video, because I want to show that this is real. Is the blog well readable on your iPhone? Or would it help you to get it in another form? It looks perfect on the iPhone. I liked the video because it gave a good impression of who you are, so perhaps it’s something you want to keep. The only reason why I pointed it out is that it might increase your efficiency (just my opinion though!). thanks for the feedback – it’s really helpful to know, where I can deliver the highest value. Actually that’s I want to achieve with this blog. Old Swede! Not bad at all! Almost too much detail, but very professional, insightful and fun! Cheers and keep up the start-up! Ober cooler Blog, hab den Newsletter schon abonniert, damit ich mühelos (ohne auf die Seite gehen zu müssen;-)) weiter lesen kann. Zur Inspiration: ich bin auf den Blog gekommen, weil ich auf die facebook-Seite der Schwester einer Freundin gegangen bin, die in einer Gruppe ist, in der auch jemand anders ist, den ich kenne, da bin ich dann aus Neugierde draufgegangen und da wurde dein Blog vorgestellt! Keep it up, dein deutsches Englisch ist auch total süß! Bin gespannt wie du mit diesem Blog Geld verdienst. cool, dass Dir der Blog gefällt und Du ihn gefunden hast (auch wenn der Weg dorthin nach Deiner Beschreibung zu urteilen, recht lang war).